John Eisenhower. The resemblance to his father is strong. John Eisenhower, son of President Dwight D. Eisenhower, has died at the age of 91. He was the oldest living Presidential child at the time of his death by a significant margin. The next oldest (LBJ’s daughter) is not even 70. Seventh on that list is John Eisenhower’s own daughter in law, Julie Nixon Eisenhower, daughter of you know who. Yes, that’s right, Nixon’s daughter married Ike’s grandson. I think that makes Ike’s son, the recently deceased John Eisenhower, Nixon’s brother in law in some weird way. What’s interesting about this list of living Presidential children is that Ronald Reagan’s oldest living child, Michael Reagan, is second on the list at age 68, while John Kennedy’s surviving daughter, Caroline, is way down at 18th, despite the fact that her father pre-dated the Reagan Presidency by 20 years. This of course reflects the fact that Kennedy was the youngest elected President when he took office, while Reagan was the oldest, and Reagan was in actuality born 6 years before JFK. Dwight Eisenhower is unique for many reasons. He was the last president born in the 1800s. He was the last of the so-called moderate Republicans to be elected to the highest office, unless you want to count Nixon as a moderate. Indeed, Eisenhower’s descendants have been among the leading voices of dissent in the Republican Party as it has steered ever rightward since the Karl Rove era. 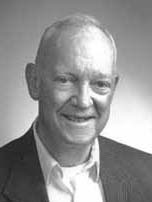 John Eisenhower, a lifelong Republican, famously left the party to become an Independent, and cast his vote for John Kerry in 2004 in protest of George W. Bush’s foreign policy. His daughter, Susan Eisenhower, similarly left the Republican Party in 2008 to become an Independent. She spoke at the Democratic National Convention that year, where she endorsed Barack Obama. She did so again in 2012. Like his father, John Eisenhower attended West Point, graduating on June 6, 1944, otherwise known as D-Day, the day of the Normandy landings, which his father happened to be commanding. Eisenhower is the longest-lived presidential child since the death of Calvin Coolidge’s son, John, at the age of 93 in 2000. Another interesting name on the list of recently deceased presidential children, albeit with an asterisk, is Elizabeth Ann Britton (1919-2005), who was alleged to be the love child of scandal-ridden President and notorious philanderer, Warren Harding. Here is some presidential grandchildren trivia: As of 2012, the oldest living presidential grandchild is Jane Garfield, granddaughter of James Garfield, elected to office in 1880. Even more interesting is that John Tyler, 10th President of the United States, and born 223 years ago, still has two living grandchildren (also as of 2012). The math behind that is that Tyler sired a child in his seventies, who in turn sired two children of his own in his seventies, and these are the living grandchildren of John Tyler, now in their seventies themselves.